First, let me get this straight. We are not going to talk about money deposit, stocks and investment, or mutual funds. Neither are we going to talk about being a Superman, Captain America, or Powerpuff Girls. What we are going to talk about is how to save energy in our life. You might be asking: what is the correlation between them? You don’t get it? OK then, follow me through this article. First, you have to..
Stop! I didn’t mean to literally tear your electricity bill apart because you find them frustrating. What I mean by cutting your electricity bill is: to reduce your consumption of electricity, therefore your electricity cost displayed on the bill will be cut down. Don’t you think that you use electricity too much, and somehow take it for granted as you know you can get it in a blink of an eye? In fact, generating electricity is not as easy as using it. Electricity comes from power plant–whether its source is from non-renewable energy (oil, natural gas, coal, and nuclear) or renewable energy (geothermal, hydro, solar, wind, wave, or biomass). Unfortunately, in Indonesia, electricity supply is still dominated by non-renewable energy power plant. What does it indicate? Yes, it indicates more pollution, emissions, greenhouse gases, or whatever you call it. Wasted electricity implies wasted energy, and sure, wasted money (and don’t forget the air or water or land or noise or light or visual or radioactive or thermal pollution we have caused). How to reduce consumption of electricity? If you are using air conditioner, set your room to ideal temperature: 240 – 270 C. Reducing air conditioner’s temperature by 10 C could increase the electricity cost up to 6%. Don’t ever forget to unplug appliances that are not in use. Unplugged appliances (in standby mode) phone charger can consume up to 1 watt/hour, internet modem: 4 watt/hour, LCD TV: 15 watt/hour, photocopy machine: 20 watt/hour, and desktop PC: 25 watt/hour. Aren’t they like energy vampires? If you feel this is too much, just simply use power strip (on/off button). Surprising fact: those energy vampires could add unnecessary Rp500.000,00 on your bill, and release 330 kg CO2 per year. Shut down every single things that are not being used in long period of time. Remember to turn off the lights and air conditioner in unoccupied rooms, and set your PC to sleep or hibernate mode instead of using a screensaver. Design your home to be a green building. Adopt the energy-efficiency concept: improving insulation, maximizing the use of sunlight during the day, installing photovoltaic, etc. Participate in Earth Hour! Mark your date: every last Saturday of March, 20:30–21:30 PM. Surprising fact: Earth Hour 2014 done by Java, Madura, and Bali could save up to Rp1.014.000.000! Imagine if we did this continuously every day, how much money could we save? Replace your old-fashioned, inefficient appliances with the new, energy-efficient, and power-saving one. Choose compact fluorescence light bulbs that can last 8–12 times longer and use up to 80% less energy than the standard one. Light-emitting diode is also a good idea because it lasts until 40.000 hours and use up to 50% less energy than CFL. Use microwave instead of stove or oven to reheat your food. Microwave use up to 80% less energy than oven. Moreover, it does not need any LPG to heat up. Try installing smart meter. This device can give you a real-time feedback on your electricity consumption, and how much it will fill the bill. 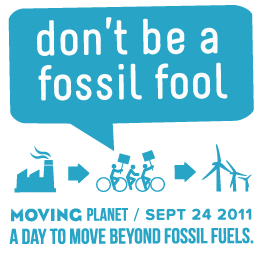 We all know that fossil fuel is a non-renewable energy source, which means one day, we will run out of it. In the other side, we are familiar with these issues: pollution, climate change, global warming, extinction of several endangered species, depletion of ozone layer, oil spill, or acid rain. And guess what, most of them are caused by the fossil fuel we have burned. 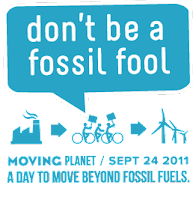 In Indonesia, 65% of fossil fuel is used for transportation sector (which is dominated by privately-owned vehicles). Guys, if it is necessary to use private vehicle, please optimize your fuel consumption. You can do it by choosing vehicle that gets good mileage (energy-efficient), maintaining speed as far as possible (limit your speed! ), accelerating smoothly, keeping vehicle in a good condition, not carrying excessive load, and not using AC all the time. Hey, every 4 L of gasoline you save will avoid 10 kg CO2 emissions! 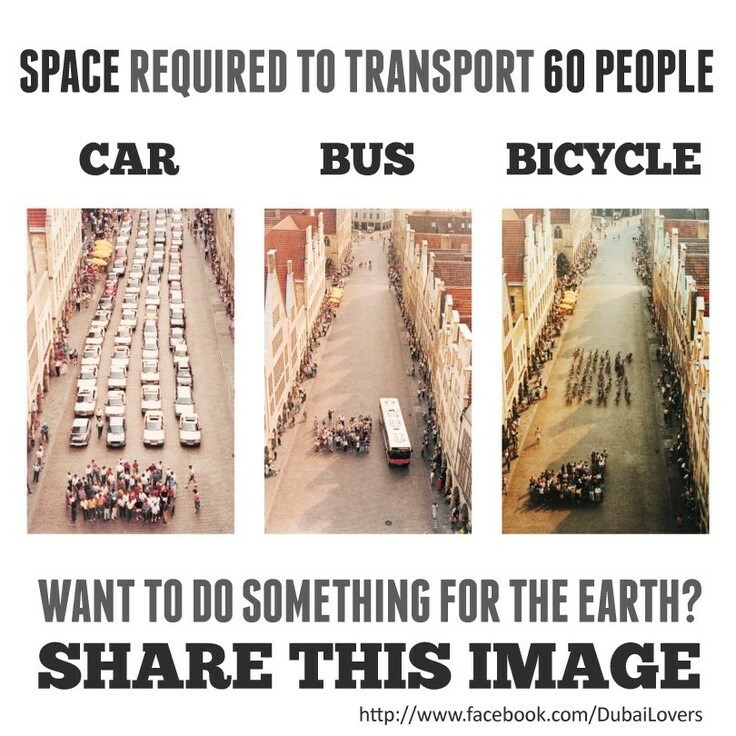 In order to stop burning fossil fuel, then you have to..
when going to school, college, office, mall, or going on a date with your loved one (if any), why don’t you try using TransJakarta or commuter train (re: public transportation)? Here is the map, just in case you don’t have one. No need to thank me for the map. Oh, and if you don’t have any idea how to move from your home to your destination using public transportation, just check this website out: www.transportumum.com. Or maybe you want to try carpooling? In addition to saving energy, you can make new friends, too! Just go to: www.nebeng.com and choose your best partner. Or simply walk, if your destination is reachable by foot. 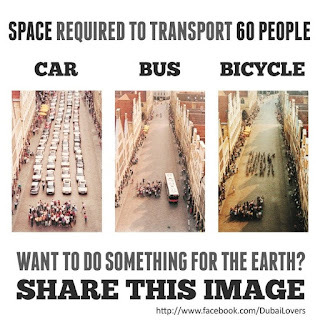 And hey, #BikeToSchool or #BikeToWork is also a good idea! By the way, I have some good news for you. 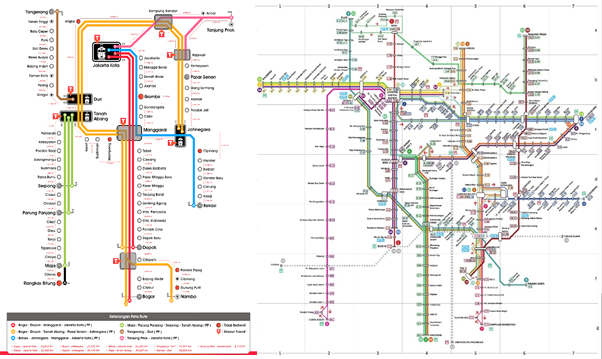 Jakarta Mass Rapid Transit and Light Rapid Transit will be operating soon in 2018! So, rather than complaining why you are stuck in traffic jam for hours because you are using your own car (guess what? everyone is doing the same thing, so no wonder why the traffic is piling up! ), why don’t you try using the public transportation? It is still cool, though! Here, let me give you a surprising comparison. No, I am not singing! Re in here is not the second syllable of the scale in solfège. It is a prefix which means again and again, indicating repetition. These are some applicable “re-actions” you can do in daily life. Instead of buying something you’re not going to use often, rent or borrow it from someone. Instead of using conventional books, newspapers, or magazines, try to find its online version. 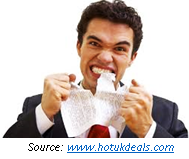 Go paperless! Instead of spending money in cafeteria, you can bring your own lunch box! Buy products that don’t use much packaging. Buy in bulk, such as one 1 kg of rice rather than four 250 gram bags to reduce packaging and save you money. Start a compost bin, dispose organic waste in your backyard. Use durable items instead of the disposable one. Replace paper towels with hand-dryers or cloth towels. Replace plastic bags with the environmentally friendly one. When shopping, bring cloth sacks instead of taking home new plastic or paper bags. Transform your box or container into fun arts and crafts project. Do not throw out your clothes, furniture, toys, and other thing you are no longer using. You can either give it or donate it. Garage sale is a good idea, too! Use your creativity to turn waste into valuable items! Bring used things to recycling center in your town. Ever heard about waste-to-energy power plant? Basically, it is a process that converts non-recyclable wastes to heat, electricity, or fuel. Isn’t it cool, using waste to generate energy? That’s why it’s called energy recovery, or resource recovery plant. Tell the cashier: no disposable plastics! DO NOT buy anything you don’t really need. List what you need and stick to it. Start questioning what you buy, why you buy it, and how you dispose of it. Have this ever crossed your mind: zero waste = zero energy wasted = zero money wasted? Ever heard of photovoltaic cell? Photovoltaic cell (photo means light, voltaic means electricity) is an amazing cell that converts sunlight directly into DC electricity. It is made up of (at least) 2 semi-conductor layers, one layer containing a positive charge, and the other containing a negative charge. When light energy strikes the solar cell, electrons are knocked loose from the atoms in the semiconductor material. If electrical conductors are attached to the positive and negative sides, forming an electrical circuit, the electrons can be captured in the form of an electric current–that is, electricity. This electricity can then be used to power a load, such as a light or a tool. Its application may vary from your small solar-powered calculator, heating water in your home, until generating electricity in power stations. 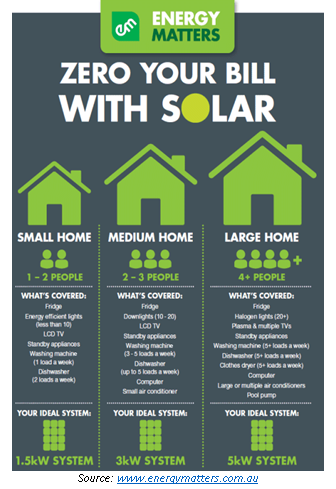 Have you installed photovoltaic panels on your rooftop? Not yet? Here, let me tell you a secret: the average homeowner saves over Rp14.000.000 on electricity by installing them. Because unlike the fossil fuel, abundant sunlight in a sunny day is totally free! (although the photovoltaic cell is not, but it is still affordable). Go install this non-polluting system with unlimited energy supply and no cost for years! That’s it. Have you recognized the correlation between saving energy, saving money, and saving earth? You done? because Earth is our only home. Nabila Putri Salsabila is a full-time student in University of Indonesia, and she is currently studying Bioprocess Engineering in Department of Chemical Engineering. She is a big fan of renewable energy, and now she takes part in FORGI FTUI as a staff of geothermal division. Indonesia. Ministry of Energy and Mineral Resources. (2012) Bang Konser: Panduan Hemat Energi. Jakarta: Directorate General of New, Renewable Energy, and Energy Conservation. Indonesia. Ministry of Energy and Mineral Resources. (2012) Buletin Hemat Energi Edisi 05 – Agustus 2015 – II. Jakarta: Directorate General of New, Renewable Energy, and Energy Conservation.